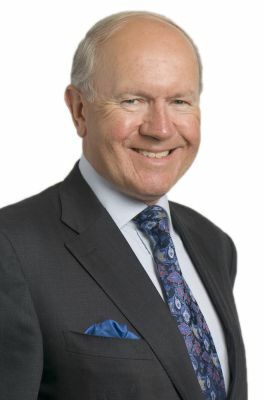 I am Chairman of Clarkslegal LLP and Director of Forbury People, Clarkslegal’s subsidiary HR consultancy. With my deep experience and proven track record in employee relations, crisis management and senior executive issues, I am able to provide organisations with strategic support that is both commercial and practical. I head the employment law practice at Clarkslegal, specialising in strategic legal and employee relations issues. I have substantial experience in labour related restructurings and TUPE transfers, collective employment relations law and strategy, trade union and industrial disputes and crisis management. I was co-author of the employment Law chapter of the Oxford University Press textbook “The Law and Practice of Restructuring in the UK and the US.” This book is the only work to cover the practical elements of both major systems of law in one place. I also advise on senior executive contracts and severances. I am also Chairman of the Commonwealth Environmental Investment Platform (CEIP) and Forbury Investment Network, which operates CEIP in alliance with the Royal Commonwealth Society. I lead on the CEIP programme to connect entrepreneurs, investors and businesses internationally for sustainable development. We particularly focus on technology, innovation and the "circular economy." I support businesses to effectively manage relationships with trade unions and employee representative bodies, and our firm has for many years supported the UK employers' delegation to the International Labour Organisation in Geneva. I have a wealth of experience of assisting companies in contingency planning, and managing crises including strikes and reputational campaigns. I have a particular specialist reputation for industrial relations and strategic legal work, based on forty years’ experience in the field, long involvement with the Confederaton of British Industry, academic and client training experience, and my achievements in significant industrial relations projects. With long experience helping organisations with major restructures, from collective redundancies to insourcing and outsourcing processes, I am able to offer companies strategic support combined with practical and sound commercial advice, providing a powerful overview of issues to consider, from legal to PR, from union campaigning to employee engagement. CEIP facilitates trade and investment in sustainable technologies, improves international awareness of developments in green technology and supports low carbon economic growth across the Commonwealth. Its work supports building resilience in developing countries to impacts of climate change and resource scarcity. I have for many years acted for senior executives, helping them either negotiate their terms and conditions at the start of their employment relationship or their exit packages. I also have significant experience in supporting senior executives being removed from companies/public bodies in difficult circumstances, where allegations of whistleblowing or discrimination have arisen. As a Director of our HR consultancy Forbury People Ltd, I have seen the difference that our experienced professional consultants can make to businesses of all sizes. We are able to provide support to companies ranging from project management expertise, through to strategic HR support of change programmes, health and safety expertise, policy and contract reviews, equal pay audits and day to day support. This business also works internationally to meet clients' needs.